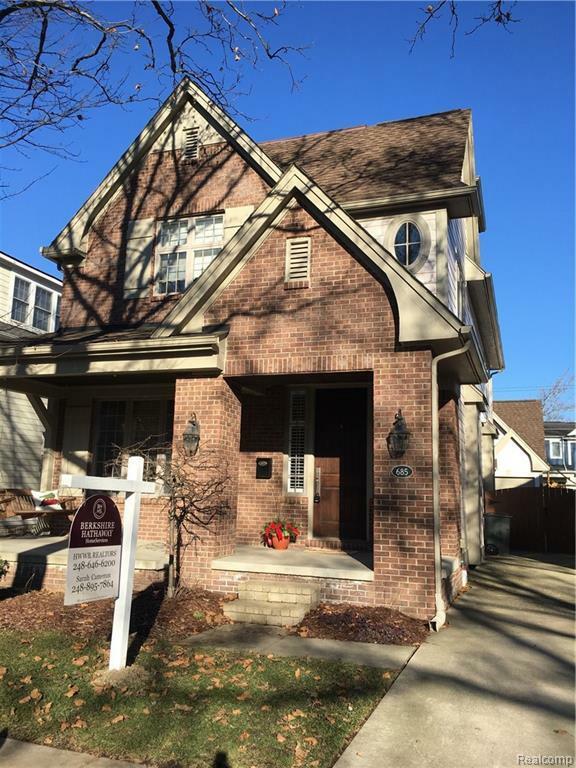 Walk to town from this instantly appealing 3 story Colonial w/covered front porch. Youll appreciate the warm & inviting feel as you roam from room to room. 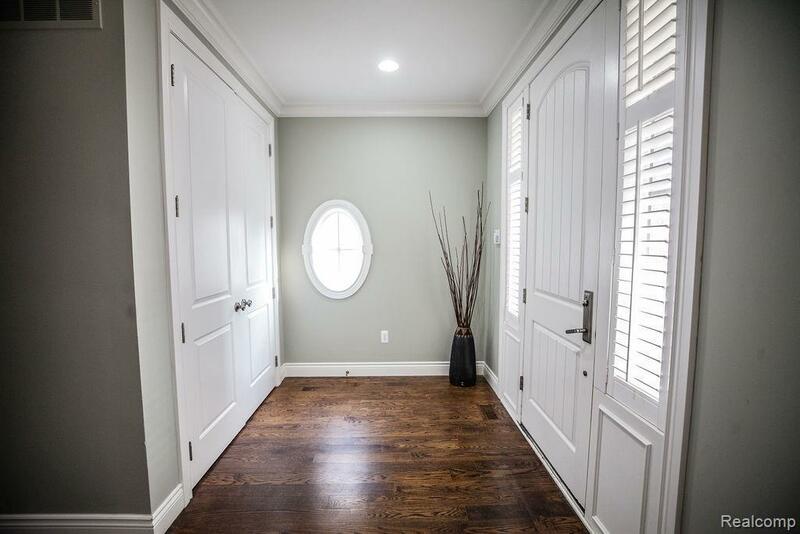 Beautiful hardwood floors through most of home & high end finishes. 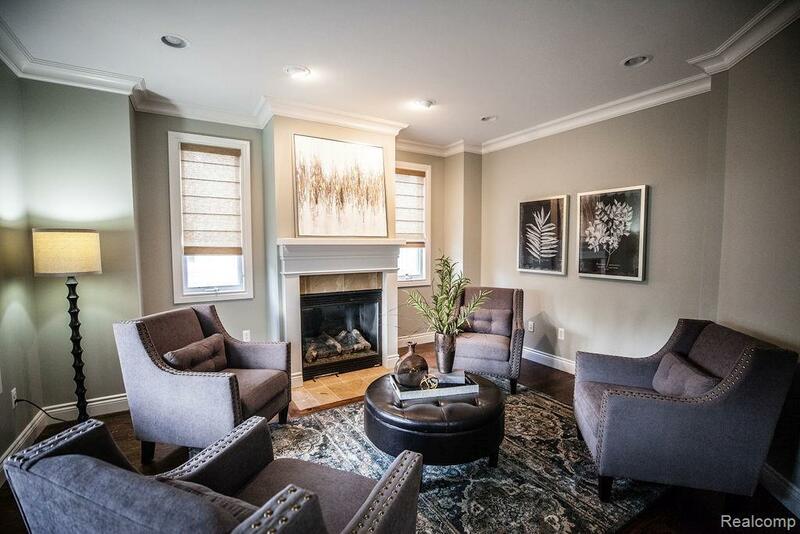 Formal living rm features a fireplace & flows nicely to the dining rm. Dining rm features wood floors & wainscoting. 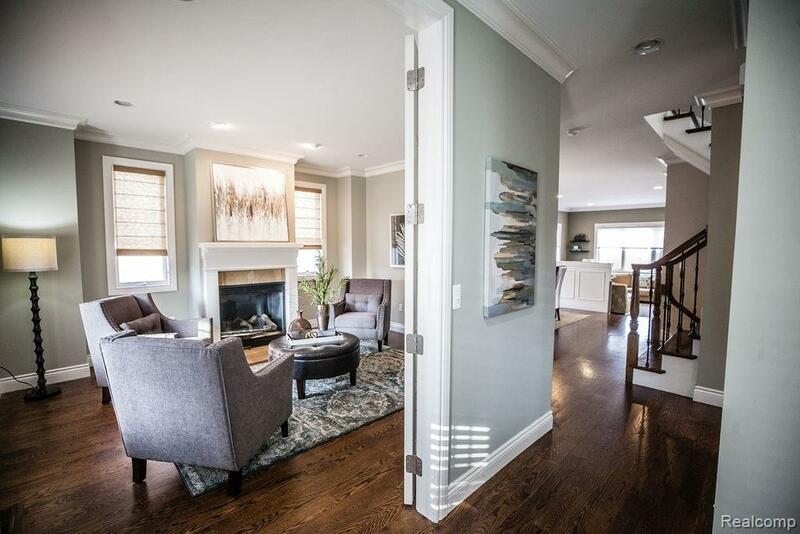 Spacious family rm flooded w/light for more casual living. Kitchen features granite island w/sink & elevated counter w/stools. High end SS appliances included. Generous sized master bdrm suite featuring a gas fireplace & great natural light. Spa like master bath includes double vanity w/granite, tiled shower & Jacuzzi tub. 2nd level also includes 2 additional bdrms, a full bath & a laundry rm. 3rd floor is carpeted & features a 4th bdrm, full bath & offers space for an office. Finished lower level w/carpeted rec rm, bdrm w/egress & full bath. Fenced rear yard features a paver patio, grassy area & a garage w/finished space above. Birmingham Schools.